By 2015 every school district in Vermont will be required to provide 10 hours of high quality, free pre-Kindergarten each week to all 3-, 4- and 5-year-olds who have missed the cutoff for Kindergarten because of their birthdays, and whose families choose to enroll them. Gov. Peter Shumlin signed this legislation into law May 28, 2014, at the Stafford Technical Center in Rutland. When doing so, he explained his choice, citing the well-documented benefits of early education. On the other hand, if the state fails to provide education at this crucial time in brain development, it could end up costing taxpayers more in the long run, Shumlin said. He explained that citizens deprived of a quality early education may be unable to perform high level jobs. Shumlin expects an investment in pre-K will pay economic as well as educational dividends. Since 2004, Killington Elementary School has housed a private non-profit preschool providing “a developmentally appropriate learning environment,” according to its website. The Preschool at Killington (P@K) is a morning program that runs from 8 a.m. to 11:30 a.m. Childcare is provided in the afternoon. This year, Betty Hughes has taken over as preschool director and head teacher. She runs P@K along with Megan Bates, the assistant teacher who did her student teaching at KES. Bates said Hughes “is an asset to our program.” Currently, nine students are enrolled in the preschool, but Hughes hopes attendance will increase in the years to come. “It’s nice to start small,” said Hughes, but explained that the classroom could hold up to 20 kids at maximum capacity. “We hope fundraising efforts will help us to buy educational technology for the students and provide more scholarship funds for those who can’t otherwise afford this pre-K program,” she said. After graduating from Castleton State College in 1979, Hughes pursued a graduate degree in human development/counseling at Harvard University. She then taught at Burke Mountain Academy, Killington Mountain School, Mount St. Joseph Academy in Rutland, and Rochester School, holding a variety of positions along the way, including coach, teacher, counselor, headmaster and director of studies. In addition to her primary duties, Hughes has also sat on many boards and commissions, many of which she continues to serve. With regards to pre-K this means taking a creative approach to curriculum development. Hughes emphasizes that children learn through play and, therefore, the most effective lessons engage the student’s creativity while incorporating elements of fun. One unit of study she looks forward to is “Passports”, in which she will ask the students where they want to travel in the world. They will pinpoint those locations on a map, and then learn about the food, language, climate, geography and culture of each place. The pre-K classroom is divided into activity areas. Some have games and toys, others have physical structures to climb and play on, and others provide quiet areas for reading, drawing and relaxing. P@K benefits significantly by being located in the elementary school, Hughes said. Sharing the same building allows the pre-K students access to the library, gym, playground and nature trails, among other things. 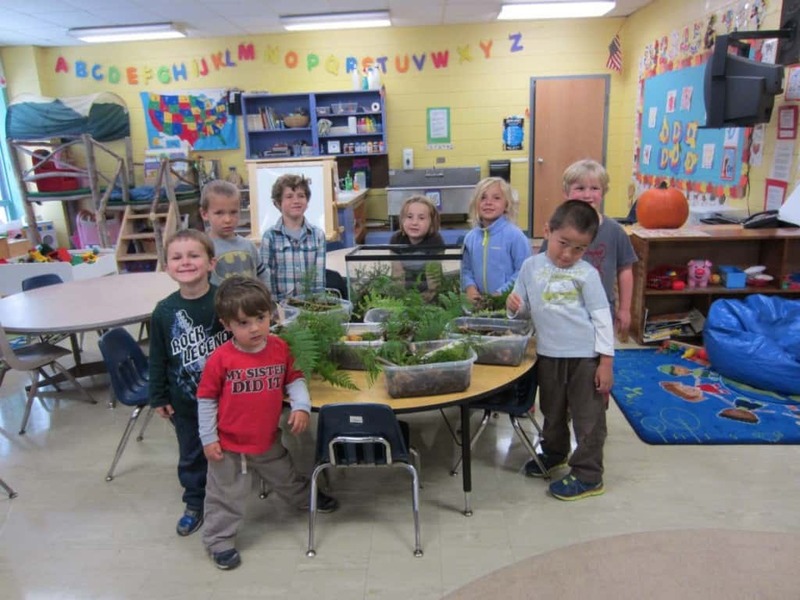 Her pre-K students also get a chance to integrate with the older students a few times per week in the elementary school and with the newly formed partnership with Killington Mountain School. They get to read with their second grade buddies and join the sixth graders for lunch on Fridays, taking part in the school-wide “waste free Fridays” initiative where students make a concerted effort to use plastic containers, lunch boxes and thermoses instead of baggies that get thrown away. Integrating the youngsters with the older students as well as with the community is a very important part of their education, Hughes believes. Since school began on Aug. 27, Hughes, Bates and many parent chaperones have embarked on many pre-K field trips off-premise. Some include: the top of Killington Peak, the Killington fire station, up Mount Tom in Woodstock, to Billings Farm and Museum and to the Montshire Museum. She looks forward to bringing the pre-K class skiing in the winter among other adventures. Thus far, parents are very happy with the program, Hughes reports, citing a recent survey she sent out to the parents. “I have nine students who can’t wait to come to school,” Hughes said with a smile. In addition to enhancing the current educational curriculum and P@K, Hughes is also presently applying for accreditation through the Step Ahead Recognition System (STARS) — a quality recognition system for child care, preschool, and after-school programs in the state. The ultimate goal is to reach the highest level of five starts. STARS programs must demonstrate proficiency above and beyond state regulations to provide professional services that meet the needs of children and families. The STARS program aims to gives educational centers an opportunity to look objectively at the programs they provide by using quality indicators to identify strengths and areas for improvement. Also, parents that choose a provider that is accredited or has 3, 4, or 5 STARS and meets the income guidelines may qualify for a low income child and dependent care tax credit, according to the state Department of Children and Families website. Hughes plans to submit the application in mid-December and will learn of the program’s status by early to mid January. Free pre-K coming to KES? “We expect to be ready to offer 10 hours of free preschool to students in the next school year,” said Hughes. State funding will follow each enrolled child to a school district and cover the cost of up to 10 hours per week. The district may then sub-contract with child centers that have been given stars of approval.